Update: The REDEFINING BEAUTY exhibition was on display at the Sunshine Plaza thru September and WON the Excellence in Marketing in Property Council of Australia’s QUEENSLAND RETAIL. 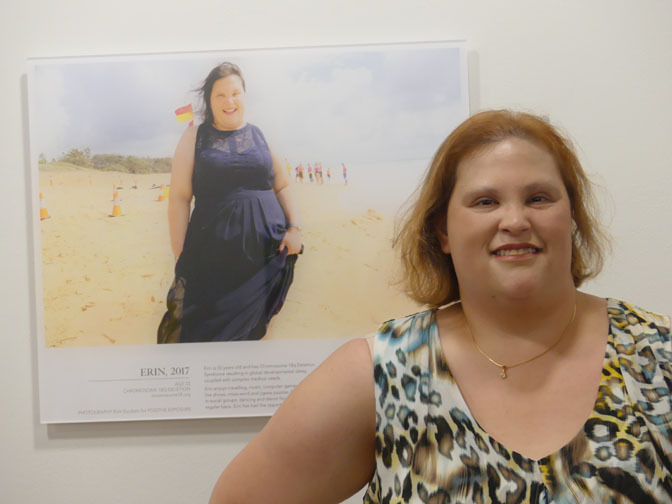 Also a picture of Erin from the ‘Redefining Beauty’ Exhibition which has been included in the Civic Disability Services exhibition ‘ The Art of Ability’ at Hazelhurst Gallery. The exhibition showcases the ability of those within the Civic community, celebrating achievements through artistic expression. Erin and I where at the gallery today for the launch. CONGRATULATIONS Erin! !